INFASHIONLOVE.COM: SkinCeuticals Blemish + Age Cleansing Gel and Solution Review! 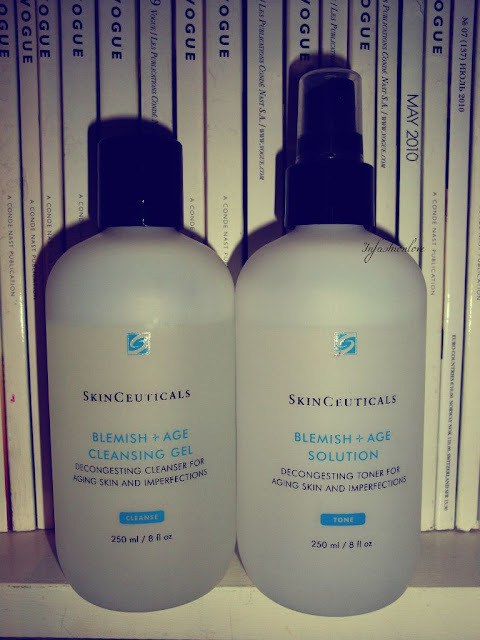 SkinCeuticals Blemish + Age Cleansing Gel and Solution Review! Hey beauties hope you are having a lovely Easter weekend! I have had a super busy week and really looking forward to unwind and enjoy some lazy time... I should also have a bit more time to write quite a few blogposts... Without a further ado here is the fantastic skincare I have mentioned a while ago! 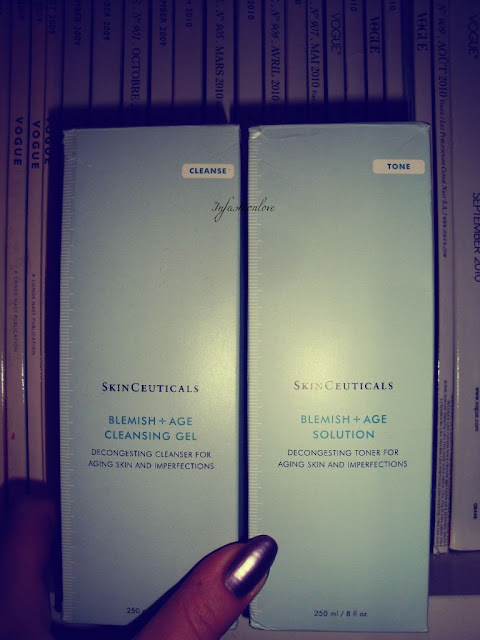 This is what I have been using to get my acne under control, which got out of hand again in January... SkinCeuticals Blemish + Age range is great for my type of skin, which is combo/oily, acne prone, and as I am turning 30 [gasp] this summer the anti-ageing aspect of this skincare range is also vital! The results are incredible, my acne break out was mostly concentrated on the lower cheeks and on the chin... After about two months the texture of my skin visibly became smoother and a lot more clear all over the face... And the areas where the acne used to be concentrated also cleared up completely, I haven't had a spot there for a couple of months now, all you can see is just a few tiny scars which are starting to fade slowly... I still get an odd spot here and there but they are not grouped, and generally it is a reaction to some of the skincare products I try, especially if I try a bunch in a short period of time - my skin is guaranteed to misbehave... Now if I get a spot it's mostly on the chin or on the temples, not sure why there but hopefully with time these areas will also completely clear up!